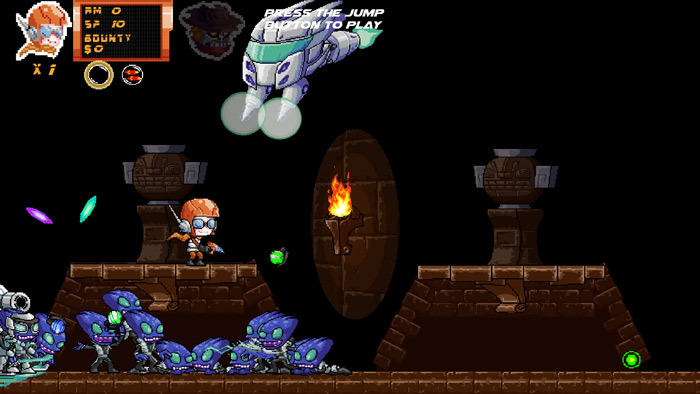 "A retro but fantastically fun and super addictive fast paced shooter." 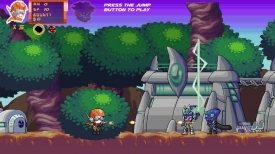 Baron Galaxy is a 2D run and gun platform game where the enemies come thick and fast and speed and dodging is the name of the game if you are to have any hope of staying alive. 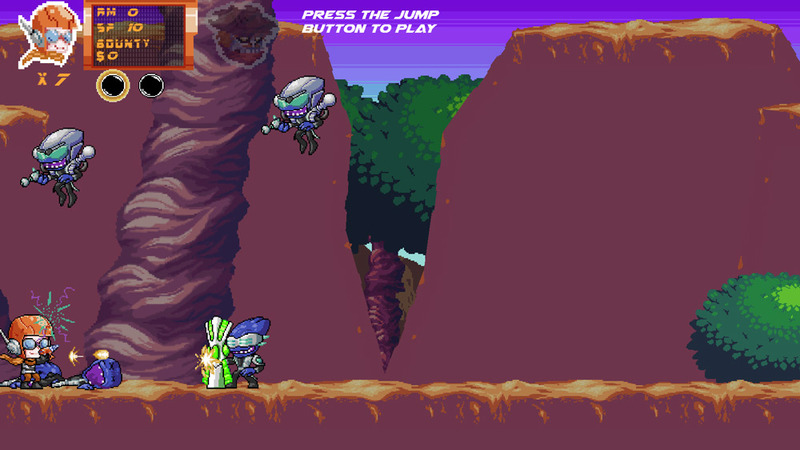 The enemies spawn randomly so even if you learn how to deal with some of them you may suddenly find yourself under attack from a swarm of them at any time and you will have to have razor sharp reactions, you get 10 lives to start with when you start on normal mode which seems generous however when you see how fast the bullets fly you’ll soon realize that you could use a few more lives to try to make any kind of progress or you will need to get really good at the game really fast. 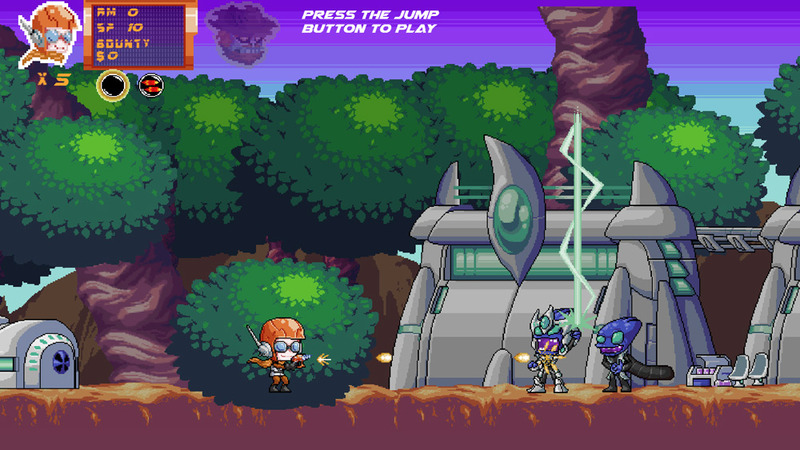 The backgrounds to Baron Galaxy were reminiscent of something from a Sega Genesis game, super cheery and colorful and the enemy aliens are a joy to watch especially as they laugh amongst themselves until they see you descending upon them at which they will turn and run towards you. Most importantly the game is incredibly fun in the most pure way, it feels nostalgic but also looks really good whilst looking kind of simple but don’t read that as any kind of negative the whole game does exactly what any good game should do it’s really good fun and very, very enjoyable. 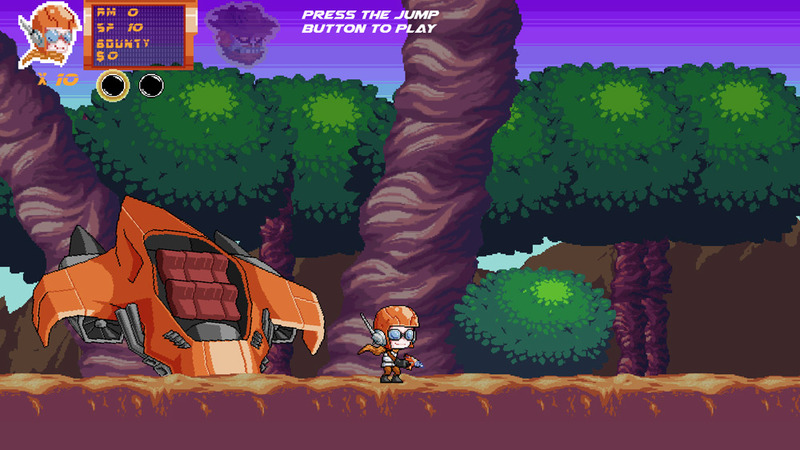 You can download Baron Galaxy here for free.